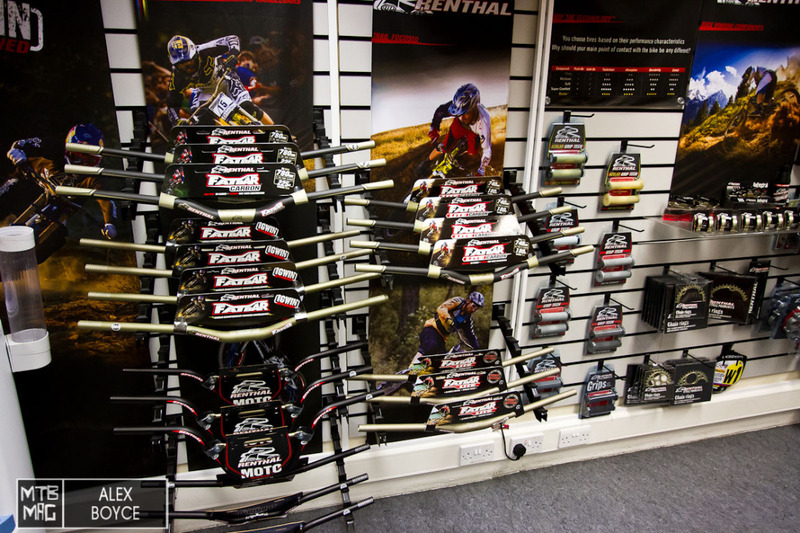 In our latest series of factory visits from around the MTB industry we had the fortune to take a peek into the world of Renthal at their factory near Manchester in the UK. 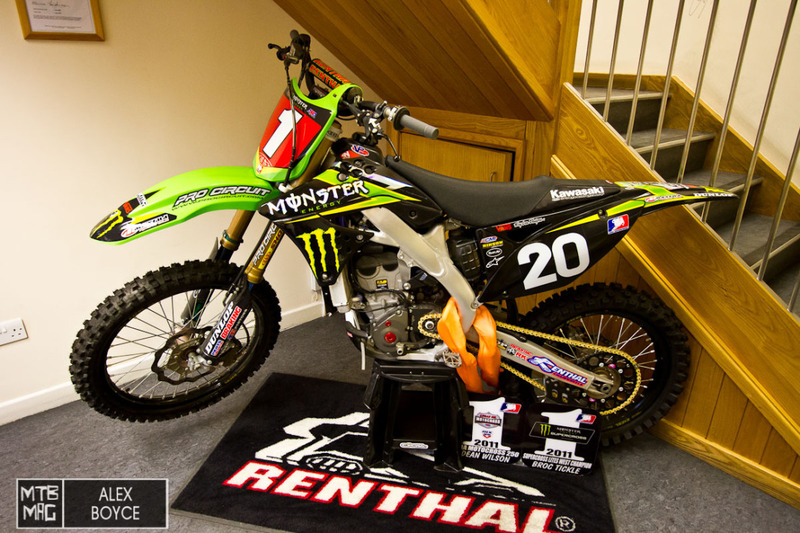 Renthal originally started in 1969 by two motorcycle enthusiasts Andrew Renshaw and Henry Rosenthal, notice their names together make up the name of the brand. 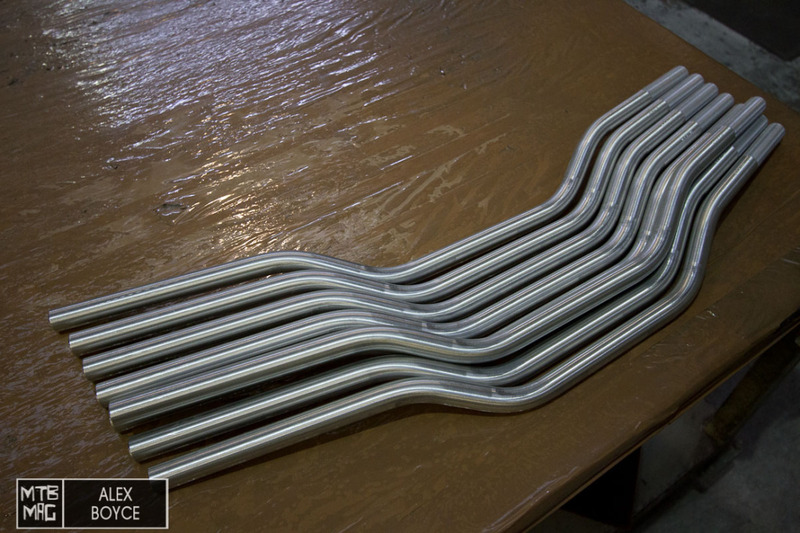 They started with making handlebars for trials bikes when they noticed that steel bars broke easily and they thought they could come up with a better solution so they started making bars in their garage and gradually became better known as more and more people used their bars, to the point that to day they are the leading handle bar maker in performance motocross. 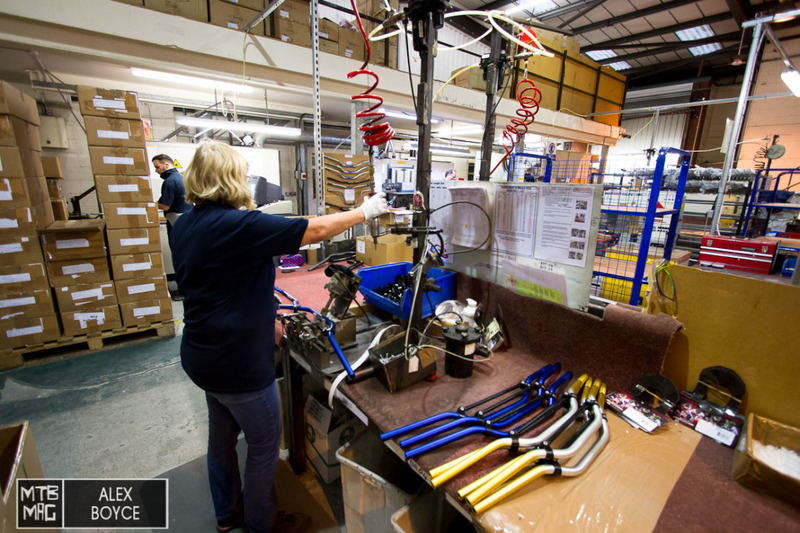 The MTB market became interesting to them in 2010 as they produced their stems and bars which quickly became a standard amongst riders, with some of the top athletes now using their products across the various MTB styles. 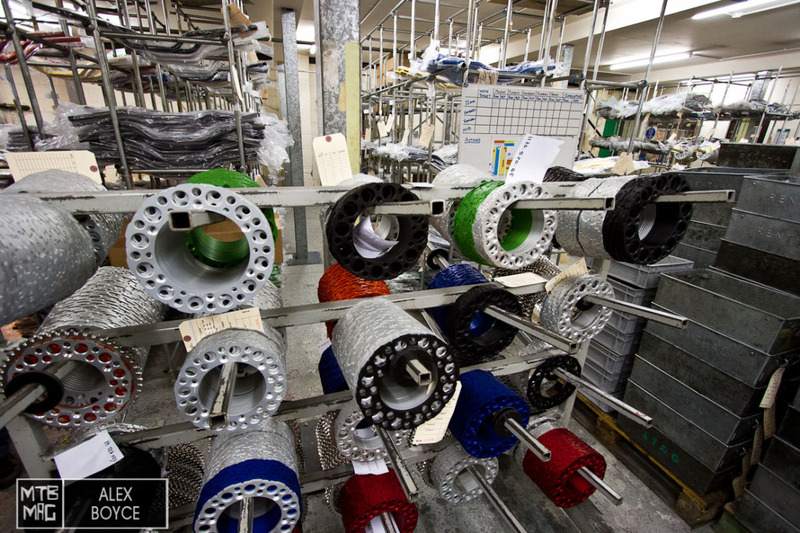 We visited their factory to have a look at what they produced and get a sneak peak at new products in production and their staples of the market. 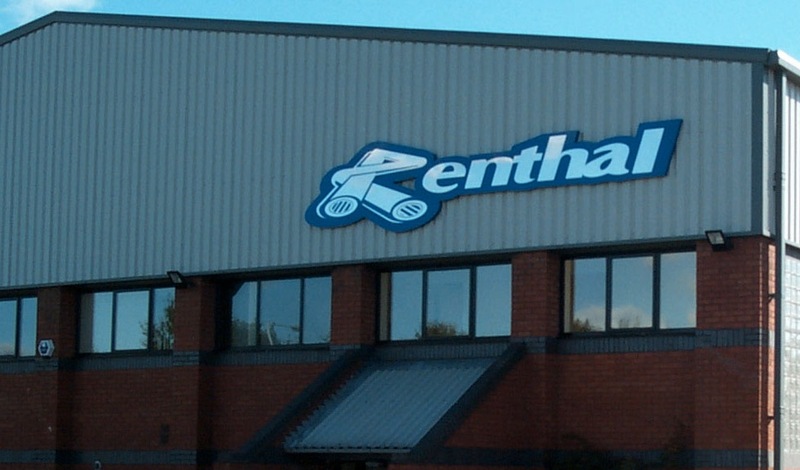 The Renthal factory is fairly non de-script and located in an industrial area near Manchester. The entrance hall to their building is graced with this beauty from the Pro-circuit team. A statement that they are found on the best teams in the world. Most people are greeted by a look at their full range of products. They seem to have almost all MTB styles covered. 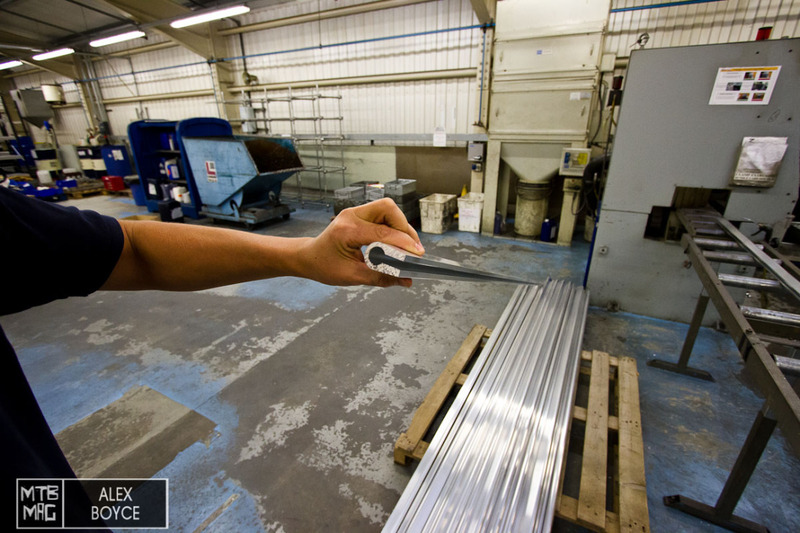 Most of Renthal’s products are made on computer controlled cutting machines. 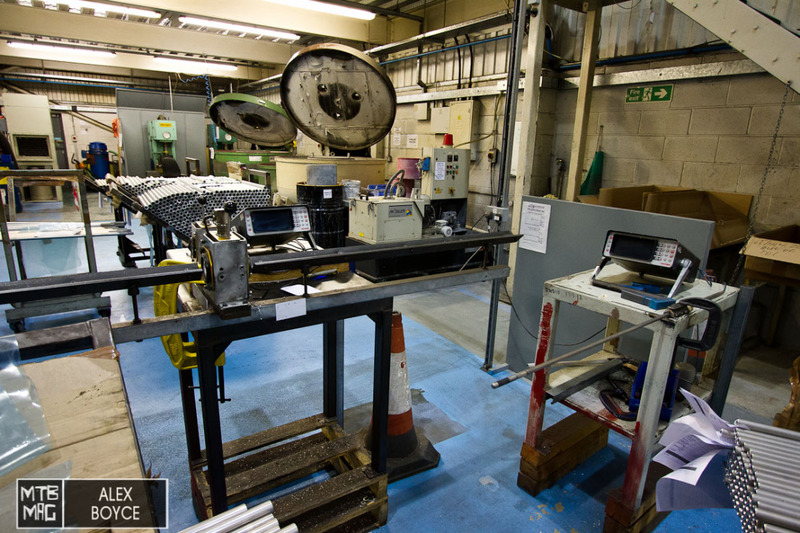 We had a look around at what we could shoot, without giving away too many trade secrets to see how the components are made. 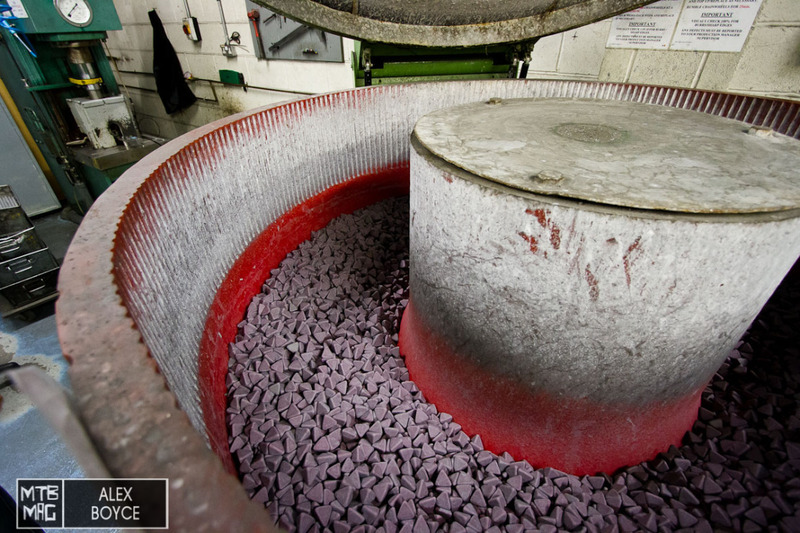 Renthal receives materials from their suppliers and stores it here before production. The factory does not have a huge people count but each person does a valuable job. Here installing cross braces. 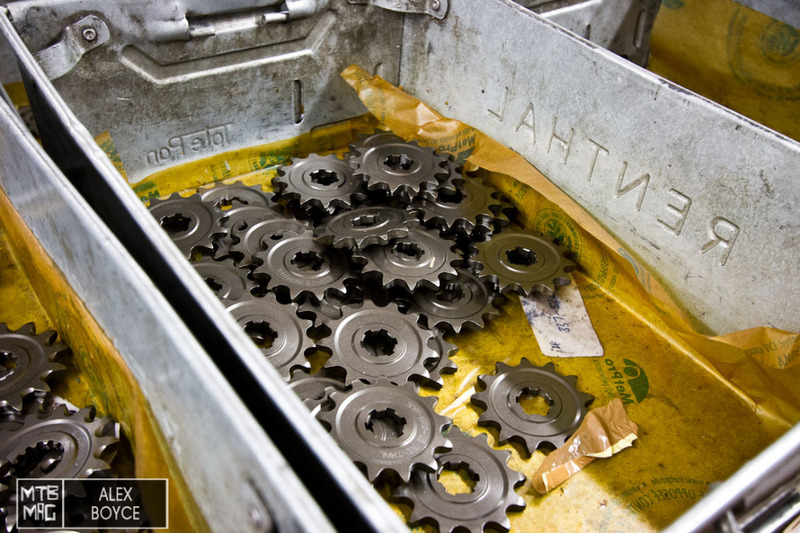 Each machine needs to be checked and loaded and reloaded every cycle. 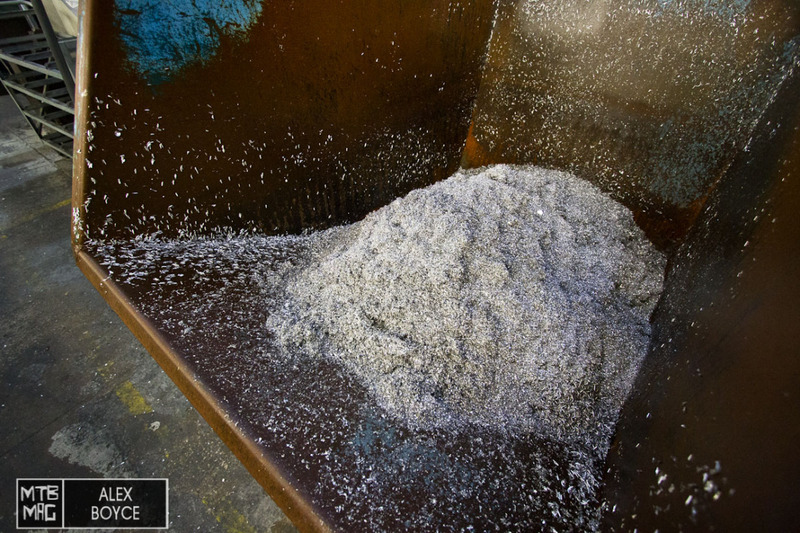 More materials stacked up ready for production. 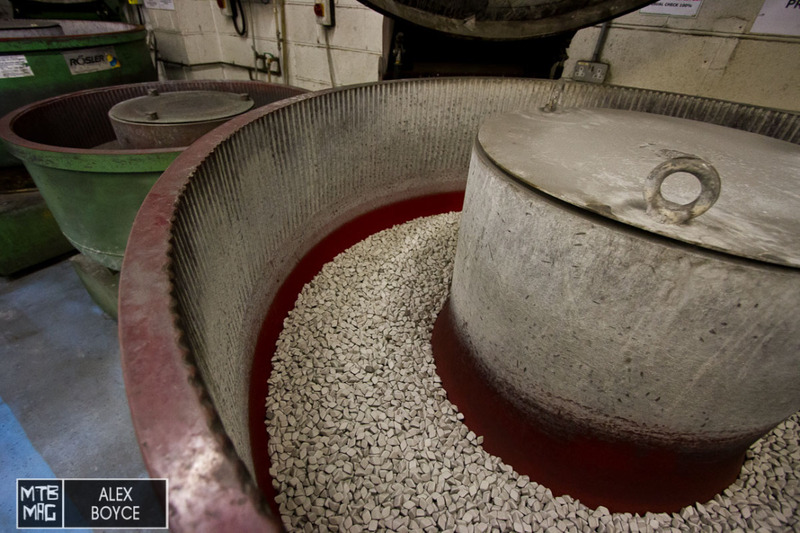 The bottom of each machine contains swarf and waste material which can all be recycled. 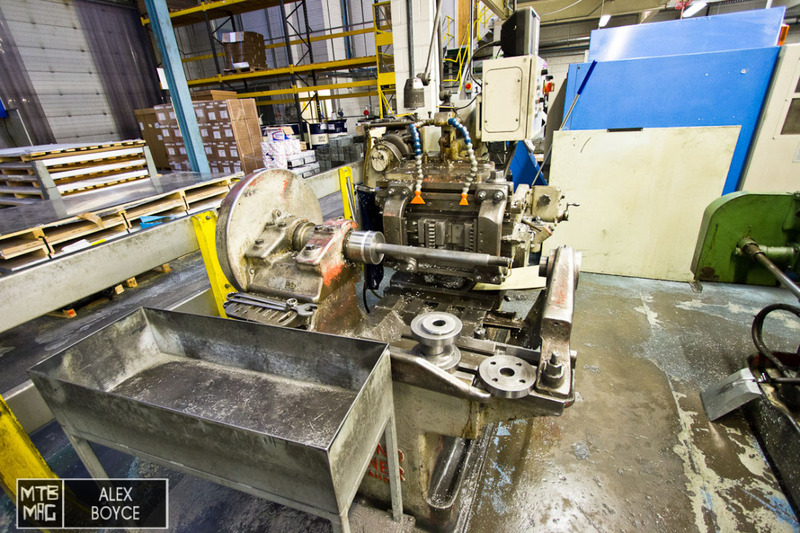 This lathe is used for turning down and cutting sections for chainrings. 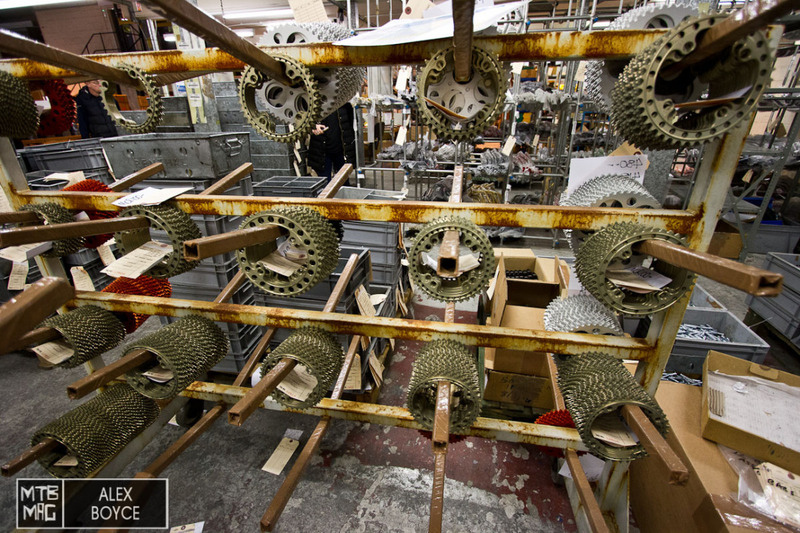 A motorbike chain ring at the first stage of production. 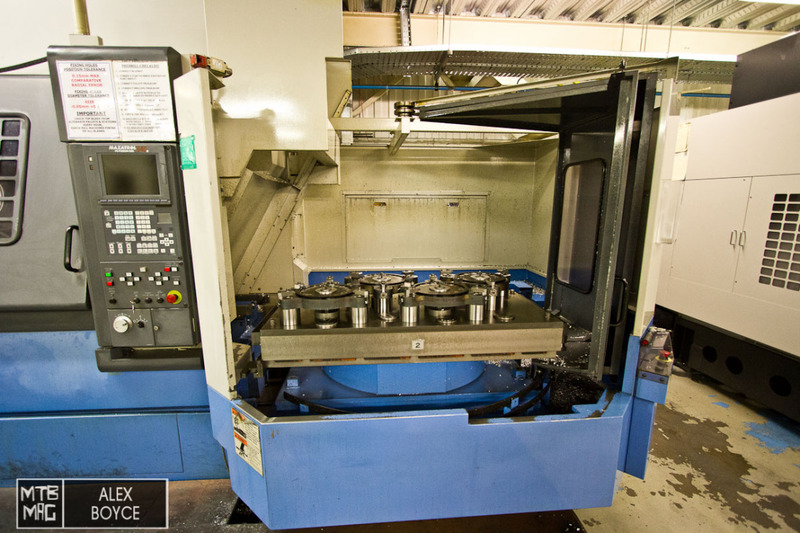 A CNC milling machine ready to finish 4 rings. Moving over to the bar area, some of the processes are trade secrets, but they did allow us to see how the finish is added to bars. 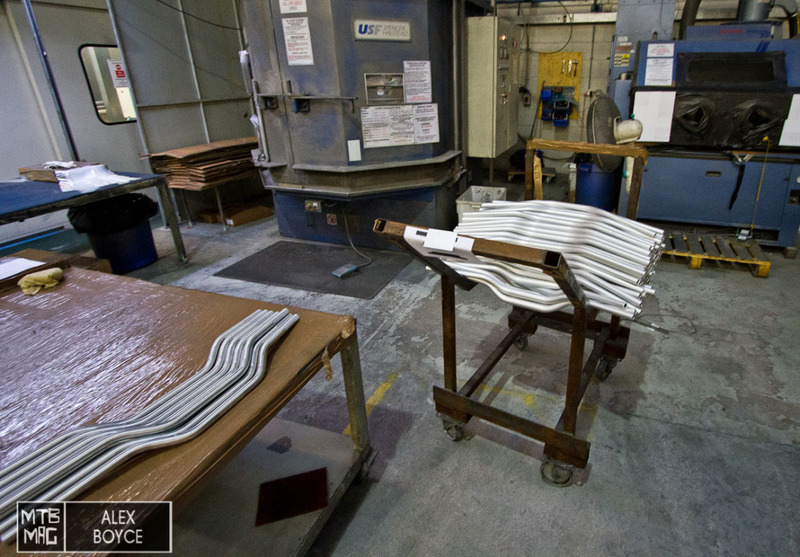 The bars enter shiny and exit with a matt finish. 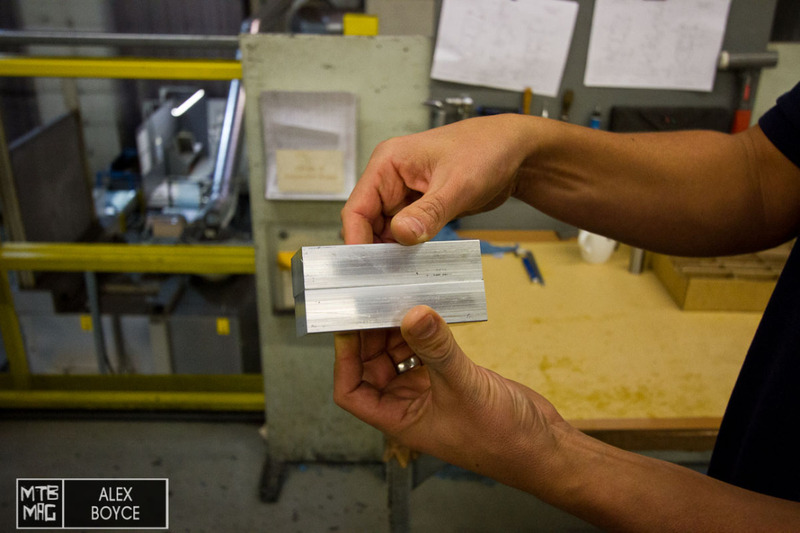 The bars are exposed to small grains of material which hammer away at the bar’s surfaces. It is possible to process many bars at once. 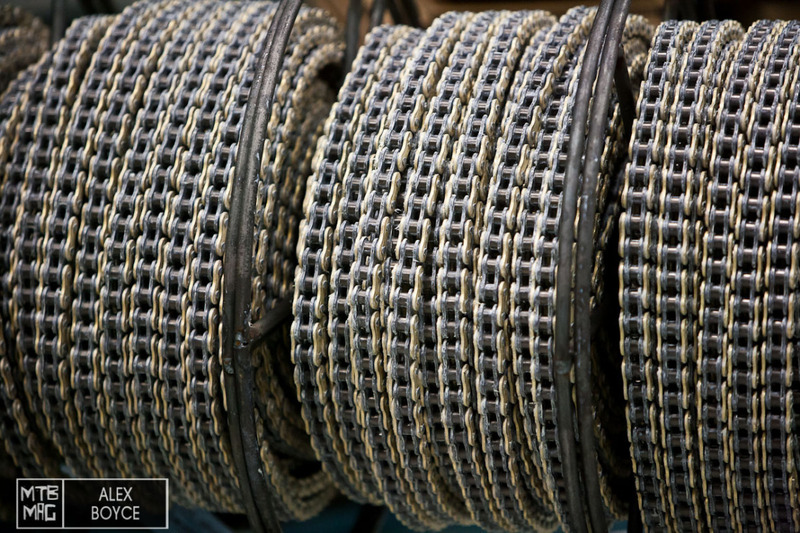 These small grains are thrown at the bars, the finish improves the tensile strength of the bars. 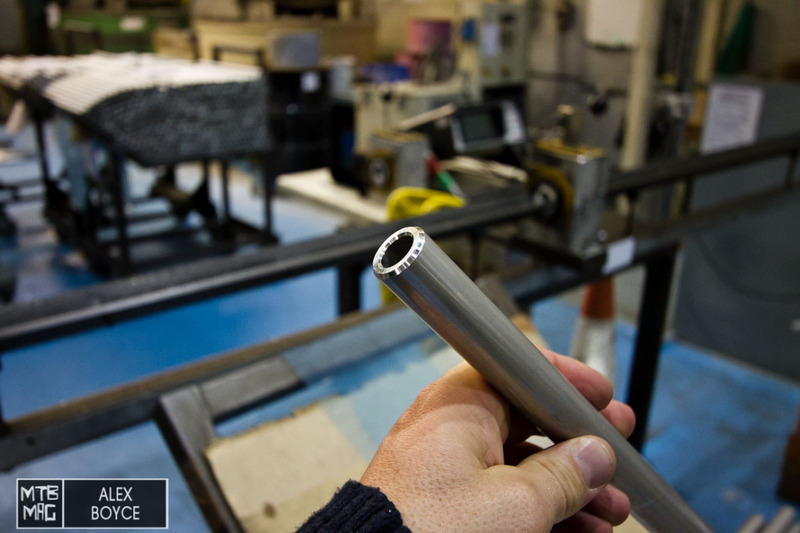 A tube from which the bars are made. 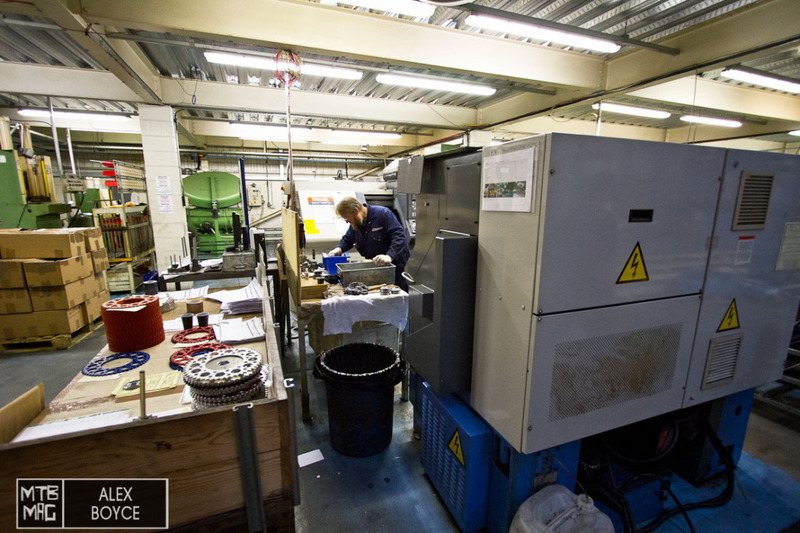 We started to look around at their production and came across this laser etching machine. 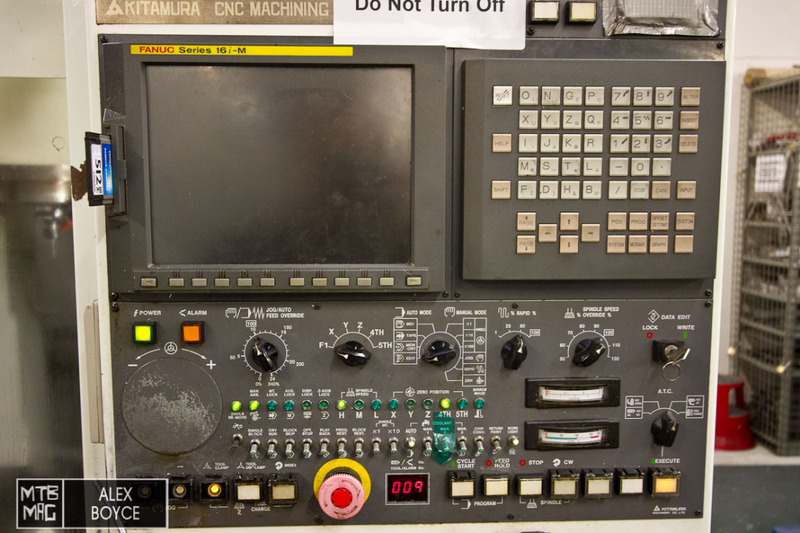 This machine electronically tests every bar before it leaves to make sure the metal is perfect. 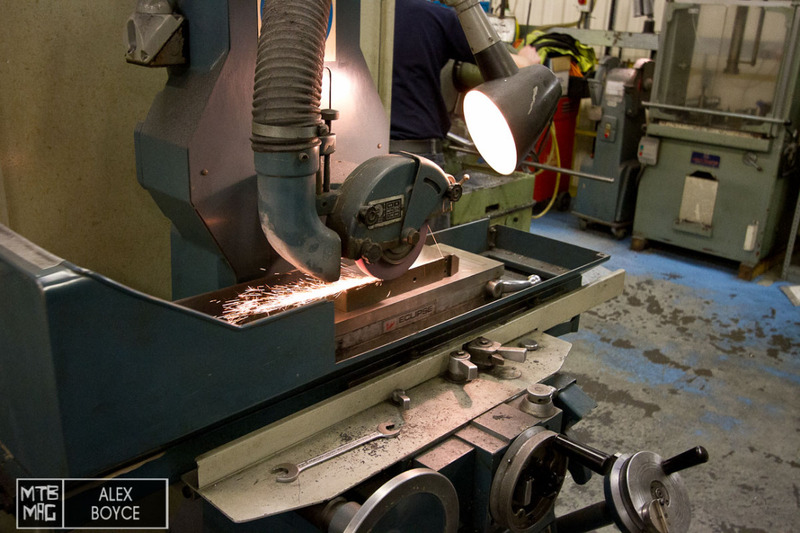 Other components are put into these tumbling machines which remove any burrs or rough parts of the metal. A larger grain for a different effect. 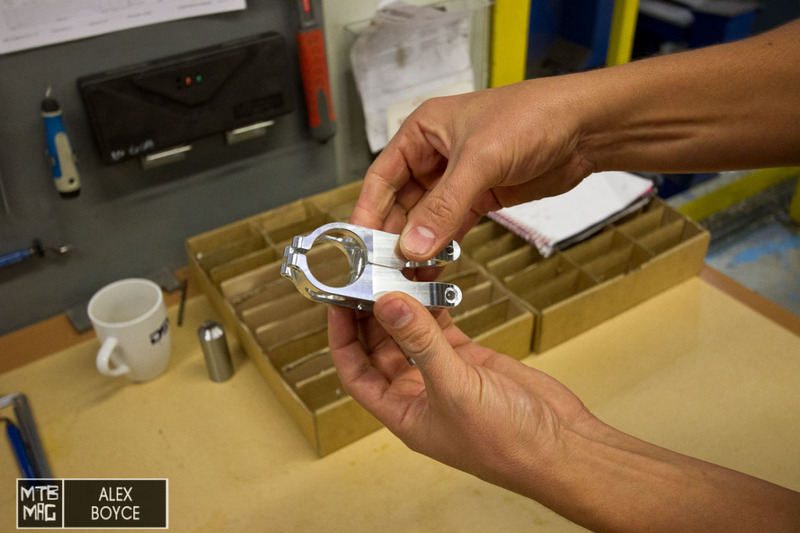 Cross brace clamps are put into their holders to be machined. 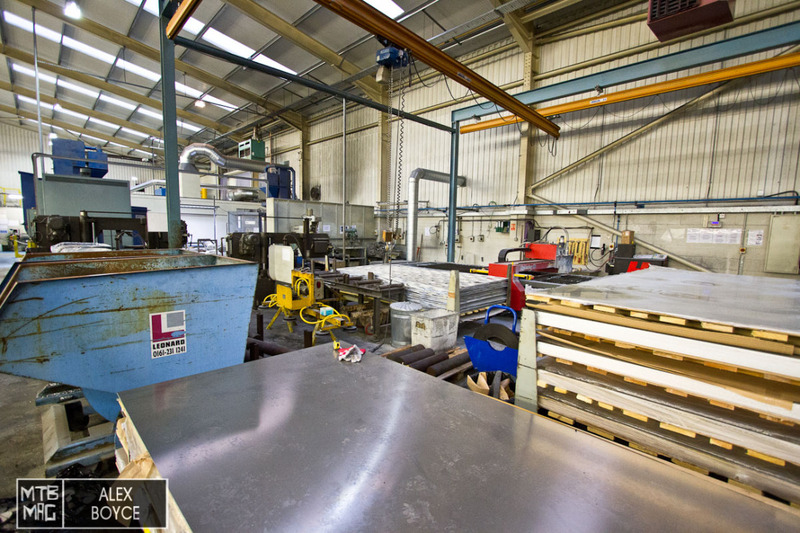 Cross brace clamps are cut from these drawn alloy sections. 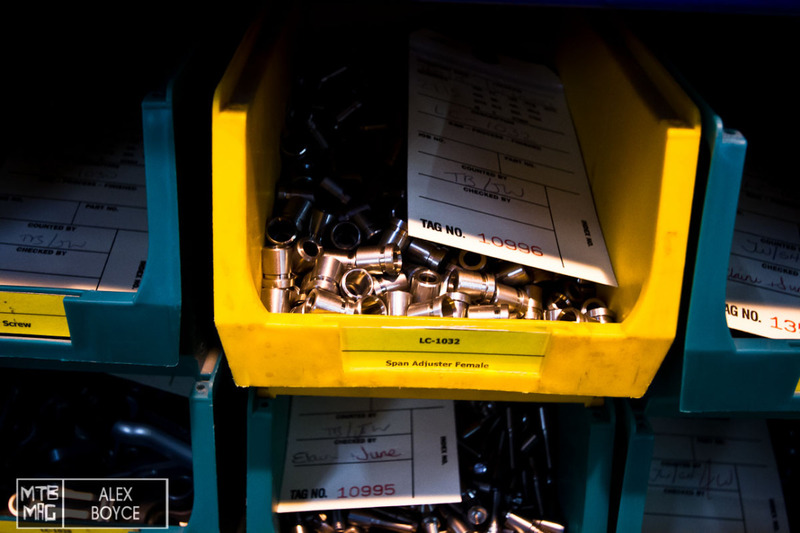 These billets are for stems. 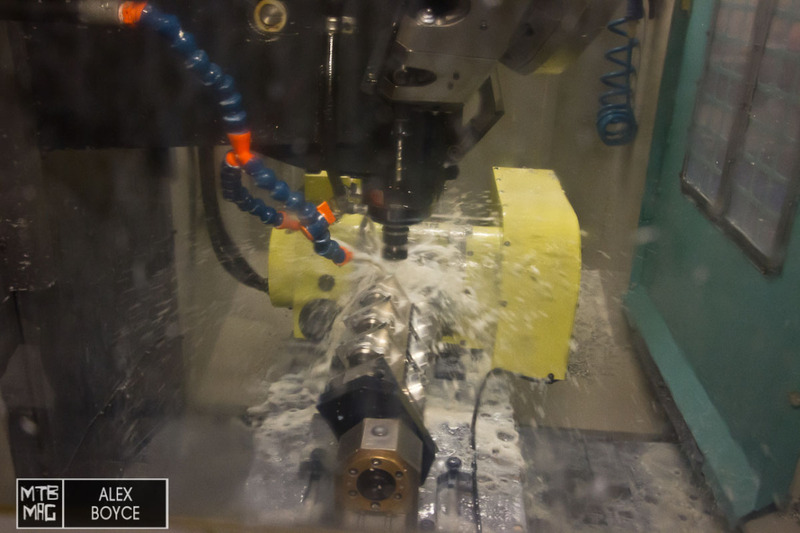 The billets are fed into the milling machine and two parts are formed. A stem before the operation. A stem after the operation. 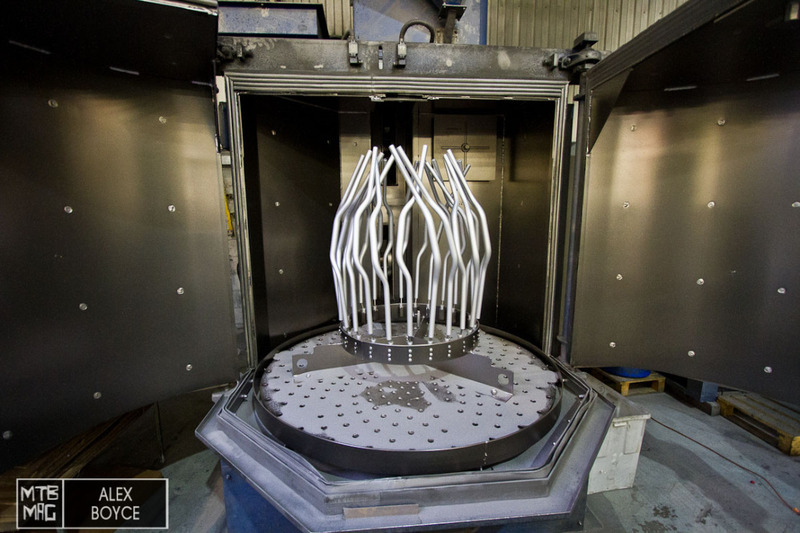 in two parts before being anodised. 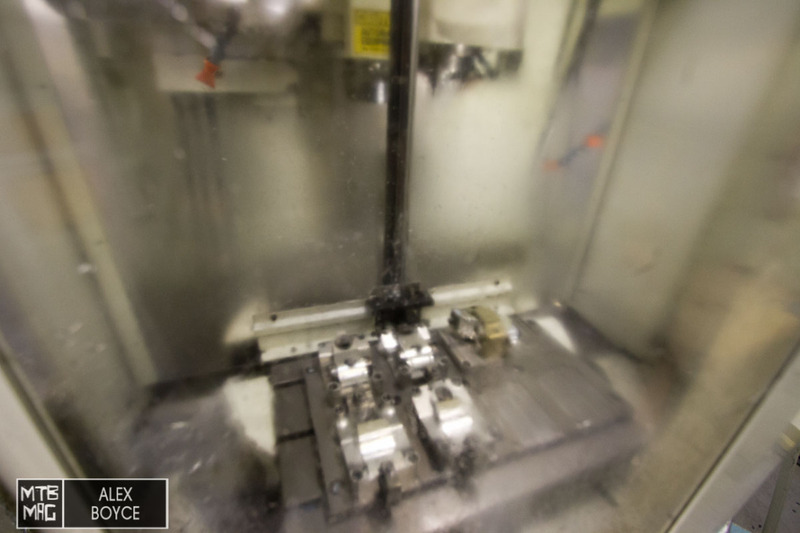 More details of the machine that holds the stems. 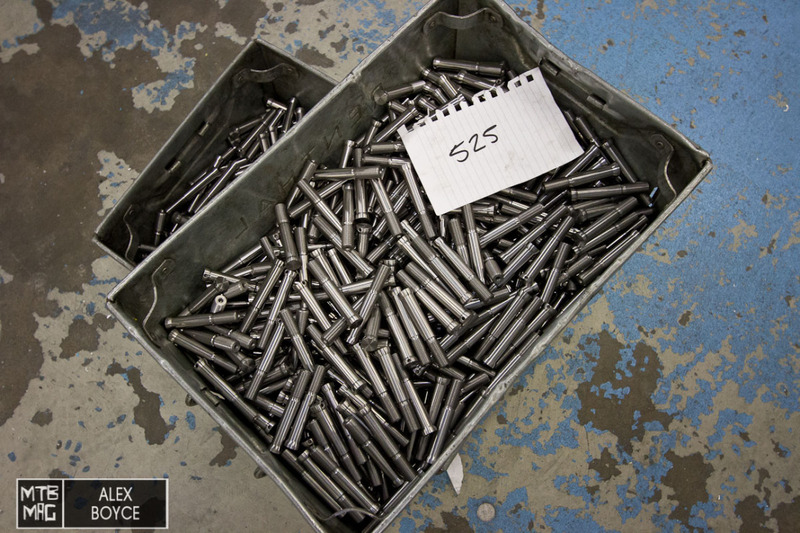 These bolts are used for a motocross component. 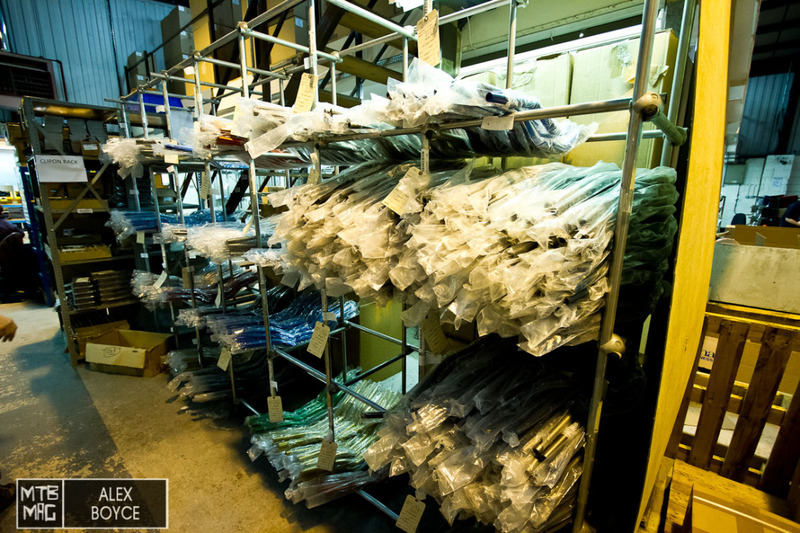 The whole factory has lots of different parts, some are not immediately obvious what they are used for. 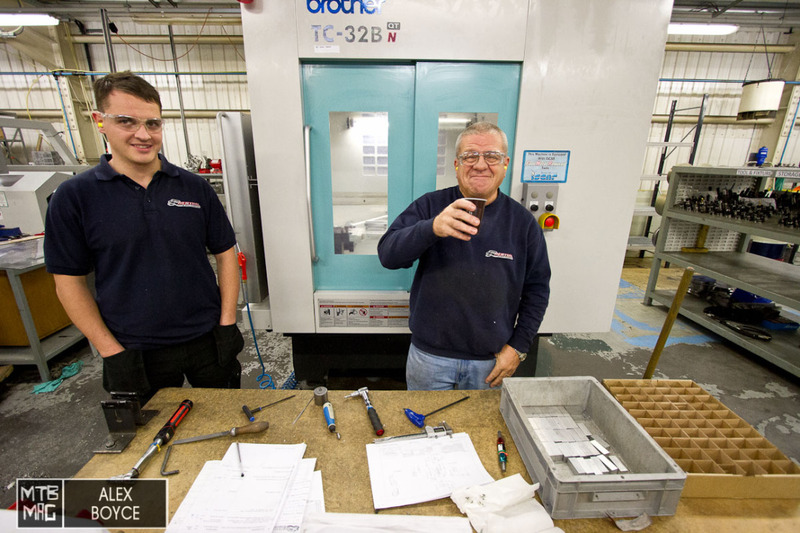 The mood was friendly and staff with many years of experience keep each component coming out meeting high quality control standards. 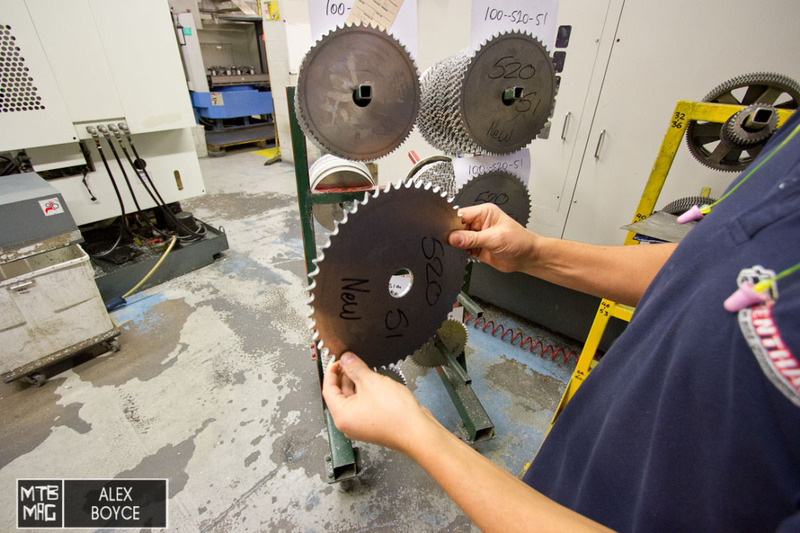 We were not sure what this was for, it looked like they were producing a plate to clamp components. 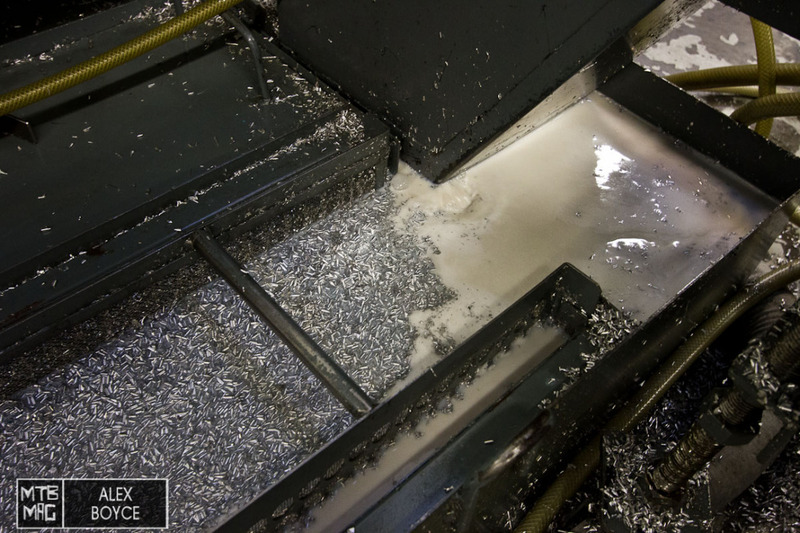 Cutting fluid and waste material drops out the bottom of each machine. 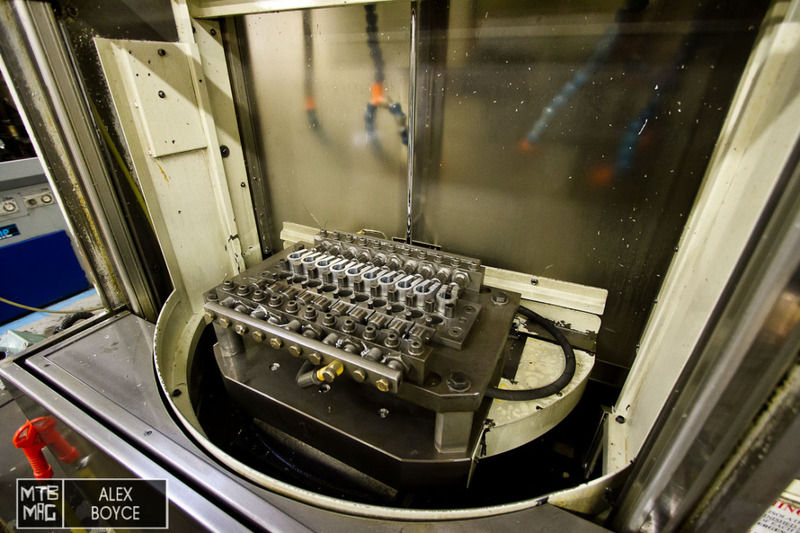 The CNC machines look very complicated and can operate to very fine tolerances. 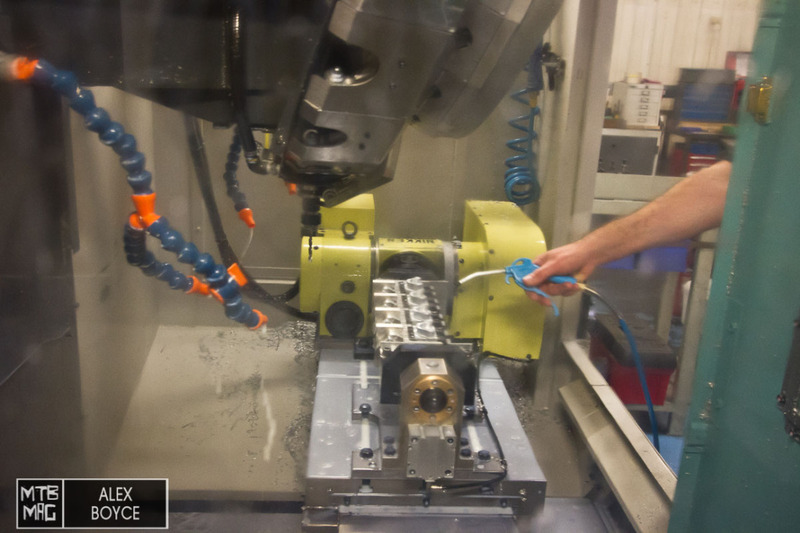 The body of the machine rotates and drills each part. 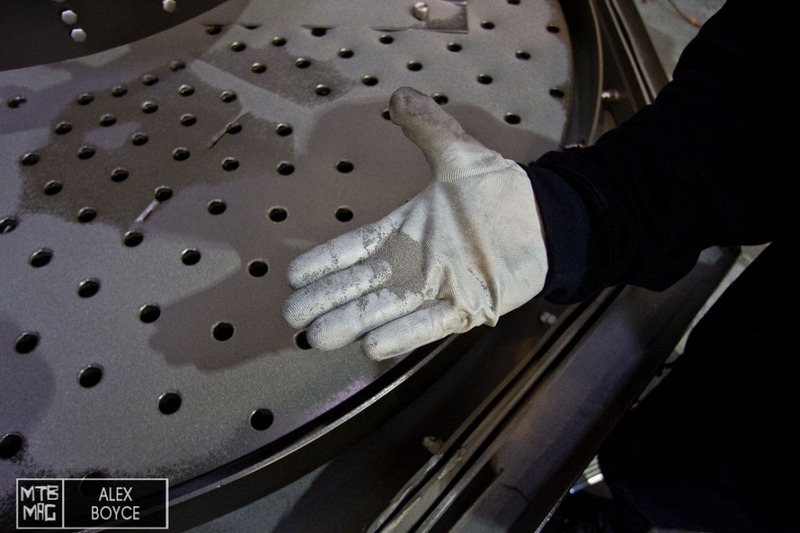 A quick air clean to check that production is on track. 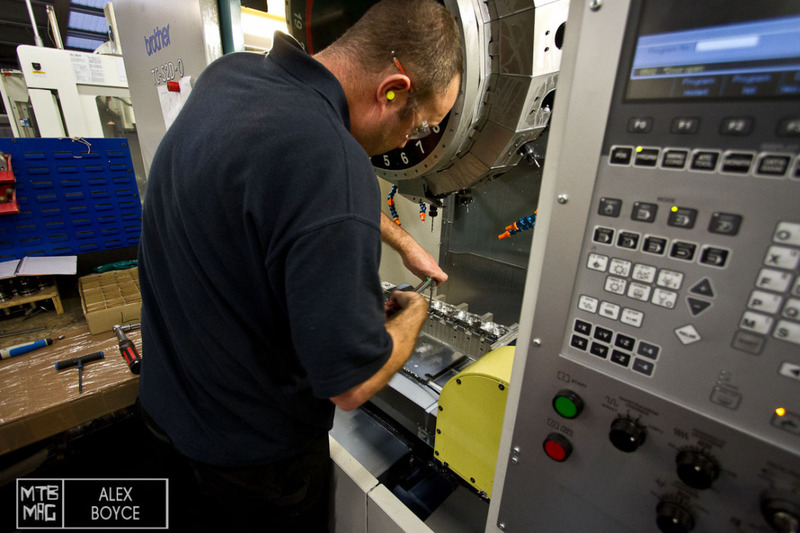 The components are then removed once it has been confirmed they are to standard. Here was the original billet. 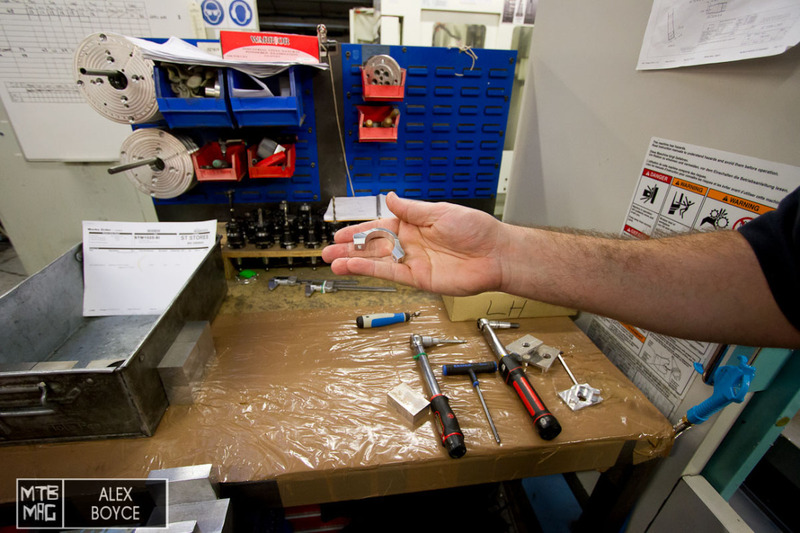 This is the stem clamp part that came out of the machine. 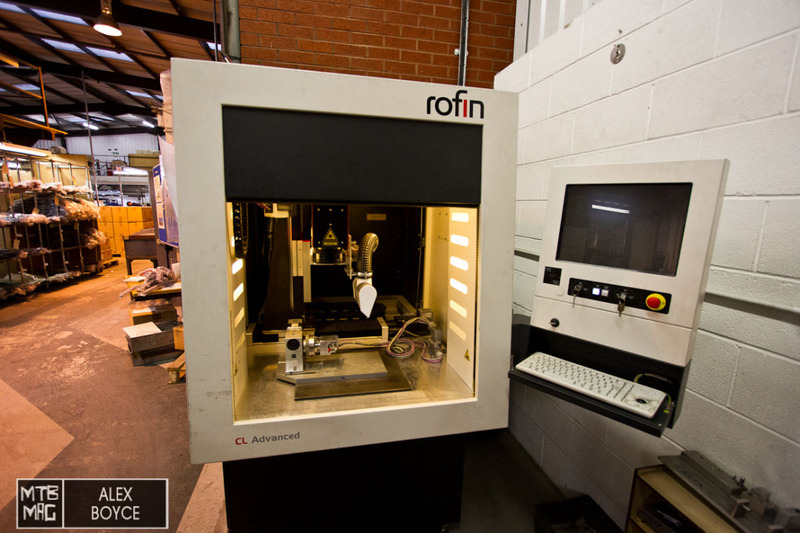 Renthal have a research and design department that produces all the details on a computer before going into production. 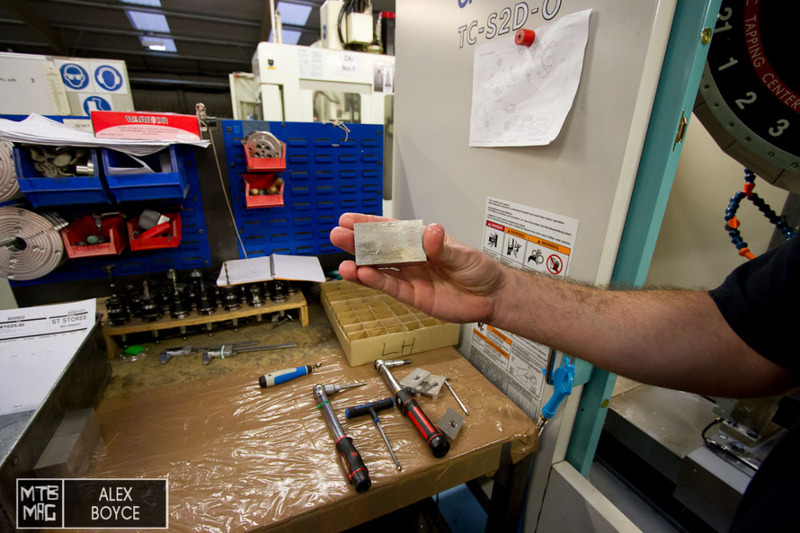 They can also 3d print products to check what they look like in reality before going to production. 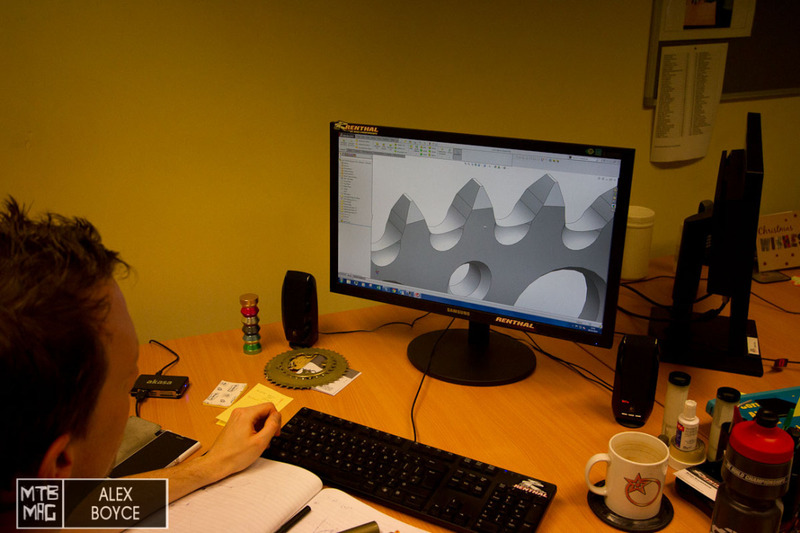 Here a designer shows us the tooth profile of a chain ring. 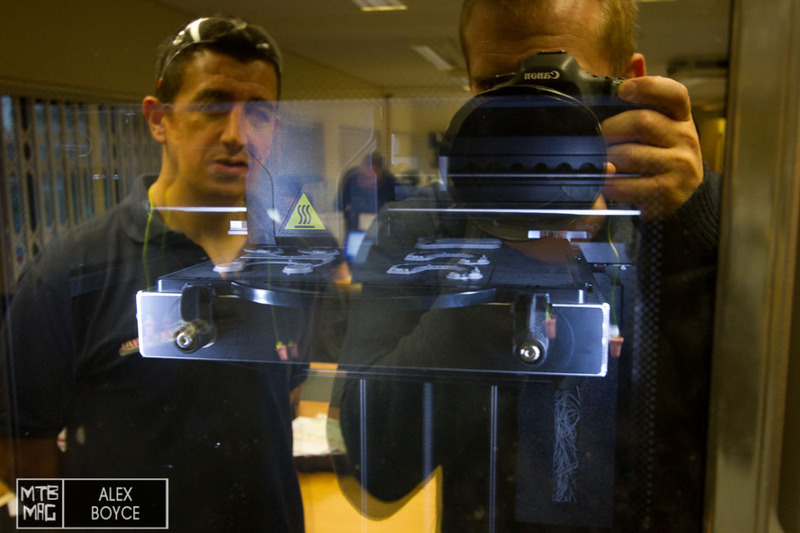 Ian Collins on the left shows us the 3d printer, which is printing a prototype model. 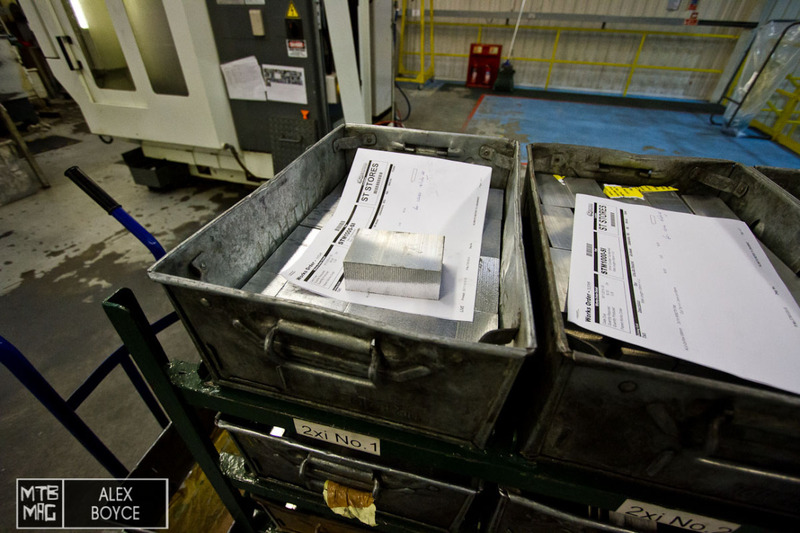 The designers also test each product before a full production run is made. 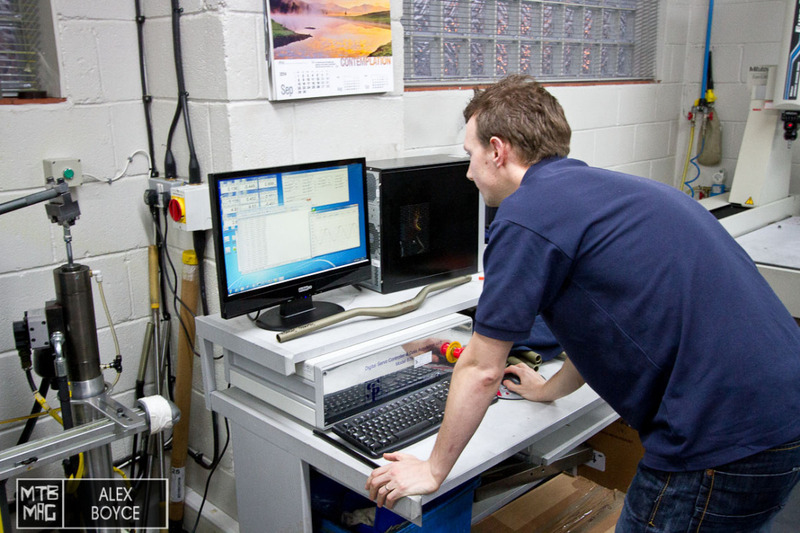 A bar is tested on the computer to make sure it meets strain standards. Although it seems like an Aladins cave Renthal produce in the quantities necessary for the market demand. Thus it is possible to respond to a surge in demand easily than waiting for a shipment from Taiwan. 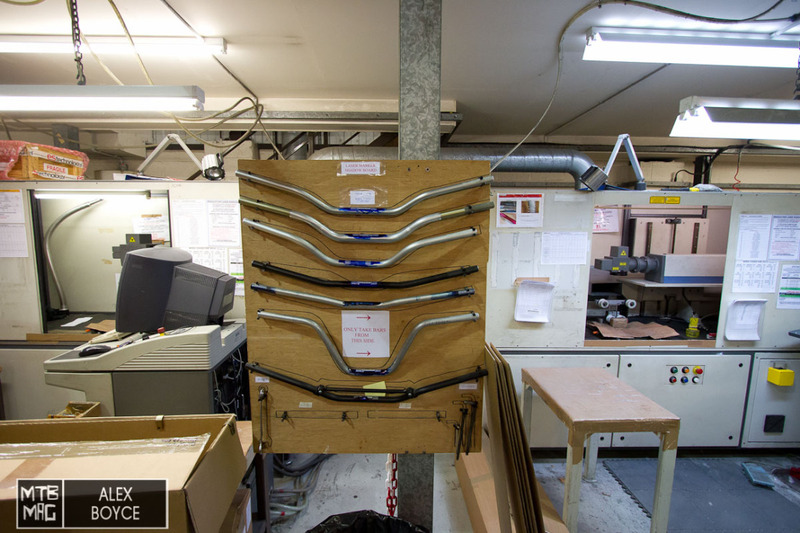 A range of motocross bar styles for reference. 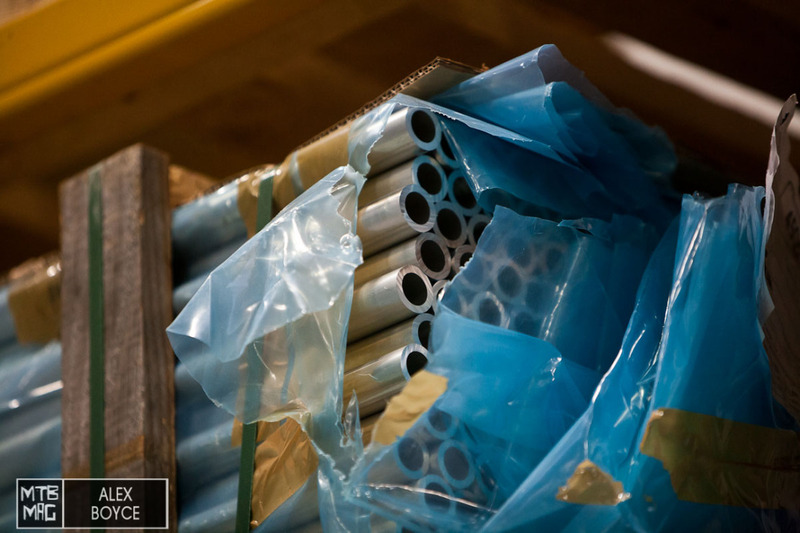 Tubes which are awaiting production. 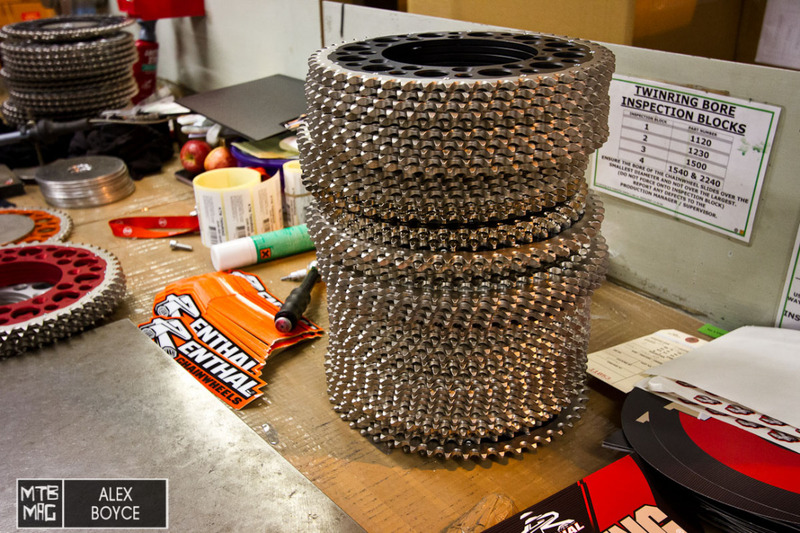 Their was a few rolls of chains around for motocross, we did not spot any bicycle chains. During the tour of their factory we came to one of their bar stock room’s, which bar please? 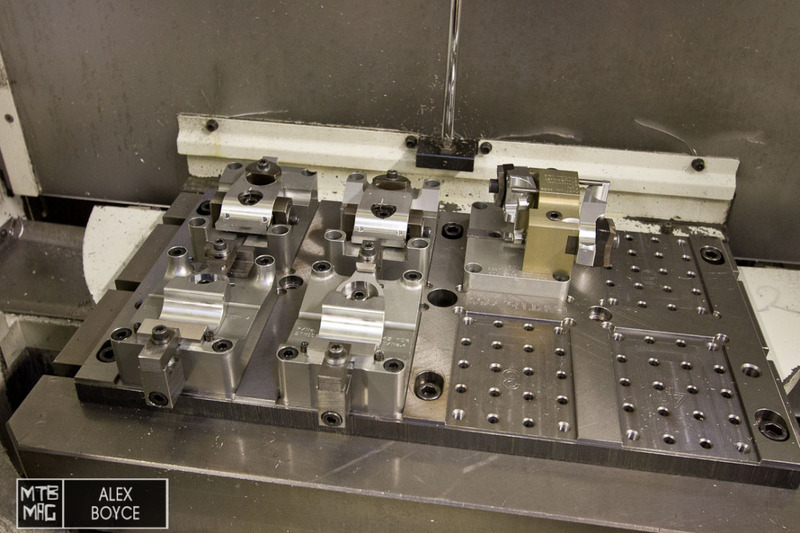 High quality machined components filled every drawer and tray. With 80 percent of their market in motocross it was obvious we would find lots of these babies everywhere. 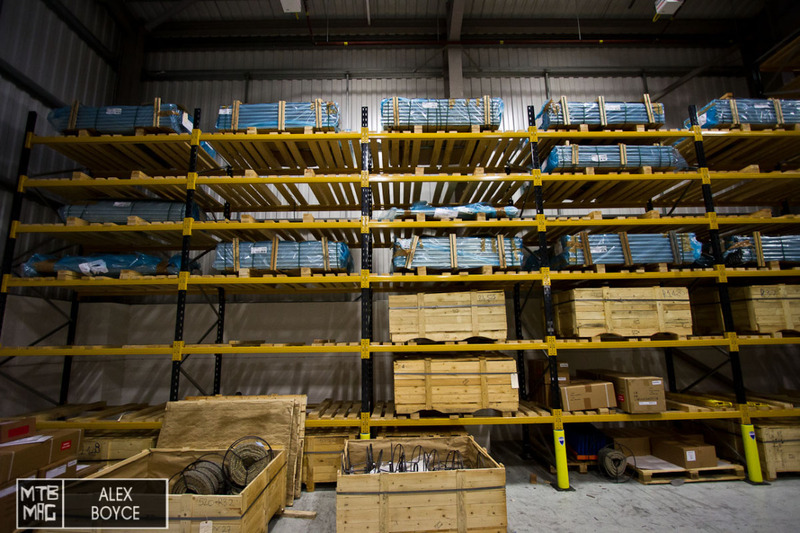 Racks with rings ready for consignment. 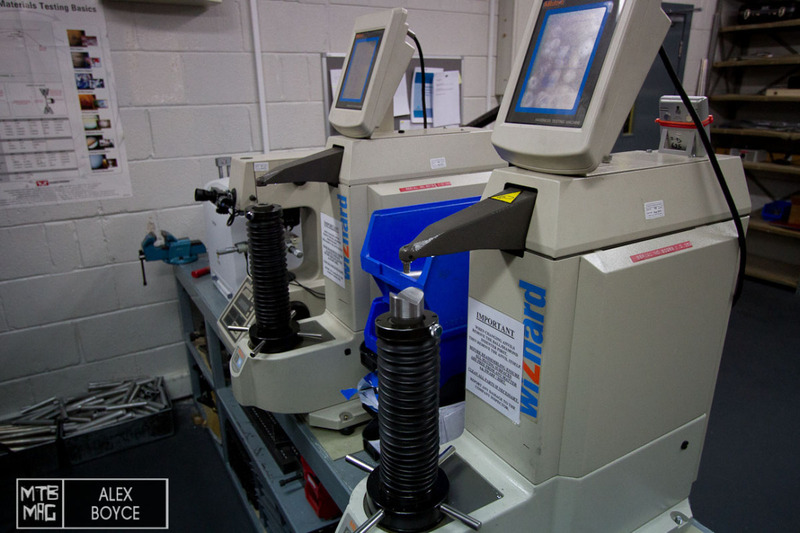 The Renthal finish is found across their whole range of products, here on their chain wheels for motorbikes. 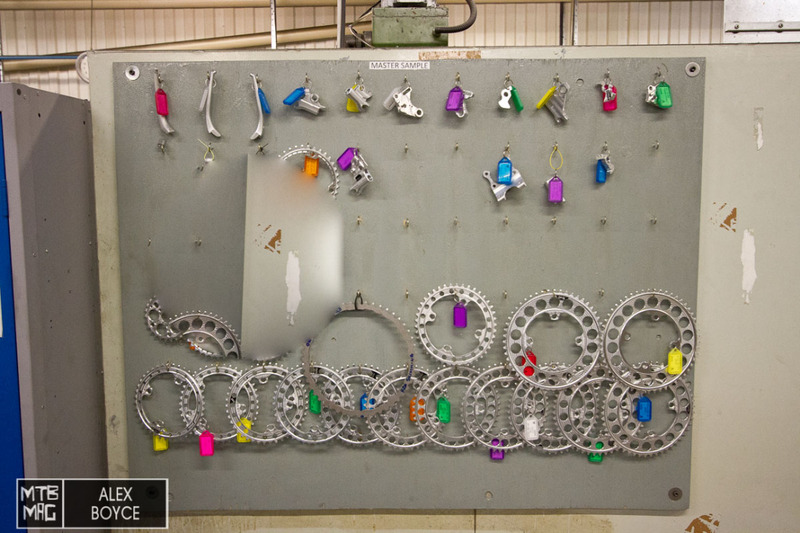 Just behind the moto stuff was the MTB chain ring rack. 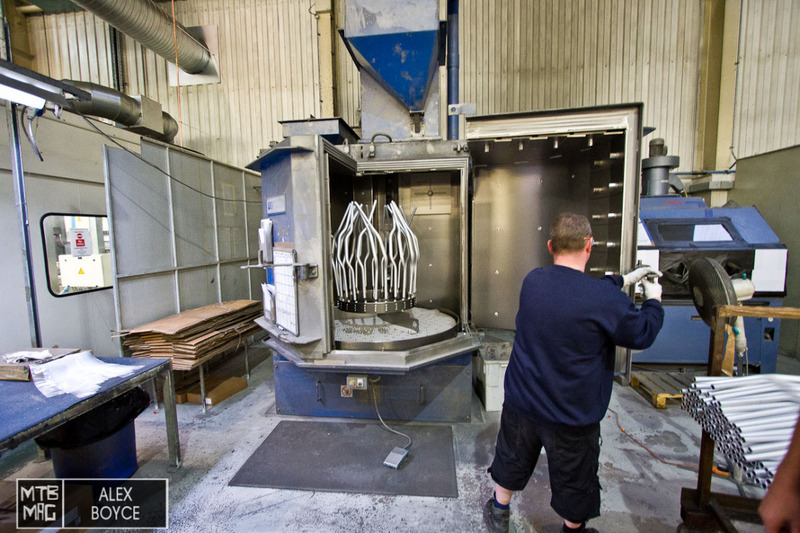 Renthal was a tightly run ship with a professional feel and quality control standard across the whole production lines that demonstrated their commitment to products being absolutely the best they can be. Later in the month we will have a few more stories from our visit with some interesting products.